On 4 November, The Barbican, here in London, is screening the film “Take Three Girls: The Dolly Mixture Story.” The evening will also feature a Q&A session with the director Paul Kelly, and two former members of Dolly Mixture - Debsey Wykes and Rachel Bor. 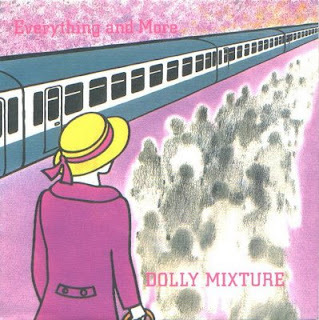 In the spirit of the event I thought it fitting to post songs from two of Dolly Mixture’s 7″ singles for your listening pleasure. Dancing in the Streets of Olympia!